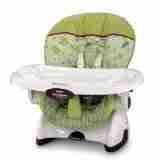 Rockabye has a huge variety of New Orleans highchair rentals for babies and young children to fit every budget. 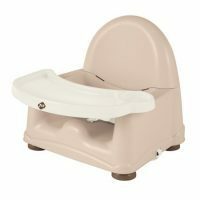 Our Deluxe New Orleans Highchair Rental is a full size highchair which features multi position recline, is height adjustable, with a 5-point harness and removable tray. 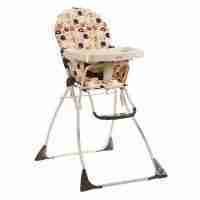 Basic high chairs offer a 3-point harness and removable tray and stationary position. Spacesavers have no legs, thus these highchairs secure to a dining chair with straps. However space savers do recline and have a 5-point harness. Meal time boosters are intended for toddlers. 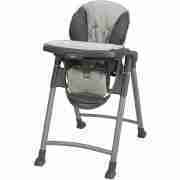 Boosters strap to a dining chair to boost little ones to table height. 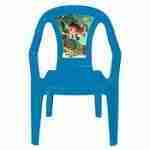 Additionally, our booster chairs have a 3-point harness and a small tray. Whether your travel is business or pleasure, Rockabye delivers to hotels, vacation rentals and private residences. Looking to keep costs down? We can arrange for you to self pick up and self return at our warehouse office. Our large inventory also provides a terrific option for special events, such as weddings and conferences. 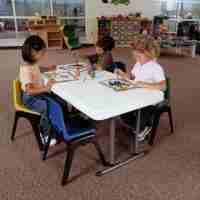 We fully clean, sanitize and bag all highchairs and boosters to assure cleanliness for rental.